“Giselle: A Death-defying Love Story”: Universal Ballet will kick off a local tour with “Giselle” at the Chungmu Arts Hall from Aug. 12-14. “Giselle,” choreographed by Jean Coralli and Marius Petipa, is a romantic ballet in two acts that premiered at Universal Arts Center -- previously Little Angels Art Hall -- in 1985. The ballet depicts the tragic love story of peasant girl Giselle trying to save her lover from a group of supernatural women despite his betrayal. The performance will begin at 8 p.m. on weekdays and at 3 p.m. and 7 p.m. on weekends. The ballet company will perform in Gunpo from Aug. 19-20 and in Suwon from Sep. 23-24. Tickets range from 20,000 won to 80,000 won and can be reserved at ticket.interpark.com. For inquiries, call (02) 2230-6600. “A Midsummer Night’s Dream”: Choreographed and presented by Seoul Ballet Theatre, “A Midsummer Night’s Dream” will be performed at the Daejeon Arts Center on Aug. 5 and 6. Directed by Juilliard-trained James Jeon, this Shakespeare classic centers around events surrounding the wedding of the Duke of Athens and the Amazon queen, Hippolyta. The performance will begin at 7:30 p.m. on Friday and at 3 p.m. and 7 p.m. on Aug. 6. Tickets range from 20,000 won to 50,000 won and can be reserved at ticket.interpark.com. For inquiries, call (042) 270-8333. “The Last Empress”: Choi So-bin Ballet will be performing the award-winning “The Last Empress” at the Gyeonggi Arts Center on Aug. 13 at 2 p.m. and 5 p.m. In celebration of the upcoming 71st National Liberation Day of Korea, the ballet chronicles Empress Myeongseong’s pain and sorrow as she watches the Joseon Kingdom crumble and ultimately fall to Japanese rule. The recipient of the 2009 President’s Award, “The Last Empress” encourages kids of all ages to attend. Tickets range from 15,000 won to 20,000 won and are available at ticket.interpark.com. For inquiries, call (031) 230-3440. “The Monster”: Hip-hop concert “The Monster” will take place on Sept. 24 and 25 at 6 p.m. at the Yes 24 Live Hall in Gwangjin-gu, Seoul. 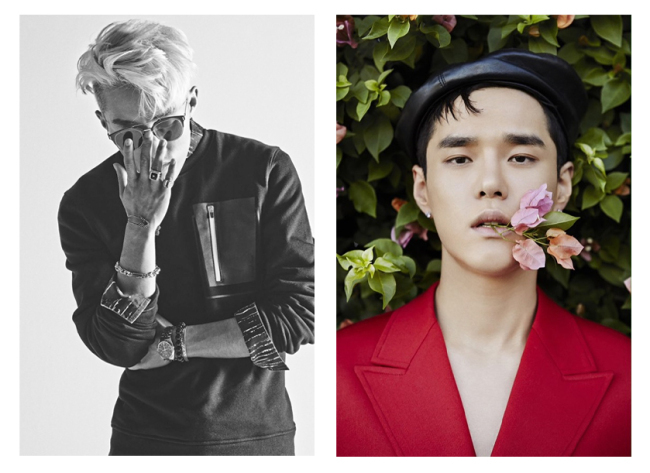 The concerts will feature some of the country’s hottest hip-hop artists, including the winner of music competition “Show Me the Money” BewhY; Cjamm, who also competed on the show; Zion. T, known for producing soulful and trendy tunes; Dean who is receiving international attention for his rhythm and blues-infused pop productions; and more. Tickets are priced at 77,000 won and 88,000 won and can be reserved at ticket.interpark.com. “Wonder Woman Festival”: The festival, themed “Time to Blossom,” will take place from Sept. 24-25 at the Floating Stage in Yeouido by the Hangang River and seeks to provide refreshing entertainment for women. It will feature a diverse lineup of musicians and entertainers, including hip-hop artists Beenzino and BewhY, indie acoustic duo 10cm, comedian Ahn Young-mi, stylist Han Hye-yeon, ballerina Kang Sue-jin, hairstylist Cha Hong and more. One-day tickets are priced at 39,000 won while two-day tickets are available at 66,000 won at ticket.interpark.com. “Incheon Pentaport Rock Festival”: The 2016 Incheon Pentaport Rock Festival will take place in Songdo’s Pentaport Park from Aug. 12-14. American bands Weezer and Panic! at the Disco will be headline acts at the Incheon Pentaport Rock Festival this year, performing alongside big names in the Korean indie scene such as the Koxx, We are the Night and Peppertones. Ticket prices range from 123,500 won to 209,000 won and can be reserved on ticket.interpark.com. “2016 JYP Nation Concert”: The biggest talents from JYP Entertainment, one of Korea’s largest entertainment companies, will gather for two days for the agency’s biennial concert from Aug. 6-7 at Jamsil Arena in Seoul. The lineup includes some of the biggest names in K-pop: Wonder Girls, GOT7, Twice, 2PM and many others. Tickets range from 99,000 won to 110,000 won and can be purchased at ticket.interpark.com. 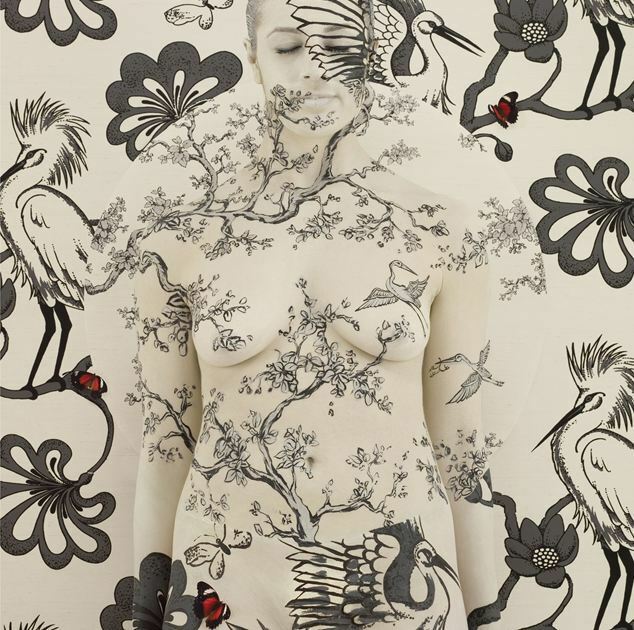 “Body Flower”: Australian artist Emma Hack, known for body painted illusionary artwork, is holding a solo exhibition at Savina Museum of Contemporary Art through Oct. 30. The museum showcases 49 photographs the artist has created since 2005. The nine different series of photographs are themed with natural elements and reveal painted bodies camouflaged against background images. For more information, visit www.savinamuseum.com. “Nam June Paik Show”: Large-scale installations by Nam June Paik, including a few rarely seen in previous exhibitions of Paik’s works, are on display at the commemorative exhibition that celebrates the late artist’s 84th birthday. Highlight pieces of the exhibition, which opened on July 20 at Dongdaemun Design Plaza, include large video art installations “Turtle” and “M200,” which consist of many television monitors each showing imposing images created and edited by Paik. The exhibition runs until Oct. 30 at DDP. Tickets range from 5,000 won for children to 15,000 won for adults. For more information, visit www.ddp.or.kr. “Treasures from Afghanistan”: The National Museum of Korea is holding an exhibition that showcases more than 230 rare Afghan artifacts. The exhibition, started in Paris in 2006, has been hosted by 18 museums in 11 countries around the world, including the National Gallery of Art in Washington, the Metropolitan Museum of Art in New York and British Museum in London, before arriving at Seoul. The featured artifacts, dating from the Bronze Age to the third century, offer a comprehensive understanding of the birth of civilization in the center of Eurasia, its ancient culture and foreign influences. “Treasures from Afghanistan” runs until Sept. 4. For more information, visit www.museum.go.kr. “New Structure and Relief”: Artist Gwon O-sang, known for his sculptures made with photographs, is presenting his new series in a solo exhibition at Arario Gallery Seoul until Aug. 21. The artist presents his reinterpretation of Alexander Calder’s iconic stationary sculpture “Stabile” in his new series of photograph sculptures, “New Structure,” which consists of printed images and aluminum sheets. Another new series, “Relief,” features collages of images posted on wooden panels. For more information, visit www.arariogallery.com. “Middle of Nowhere”: Salon de H is holding a solo exhibition of artist Woo Kuk-won until Aug. 12. The artist’s paintings, which appear to be random scribbles and spontaneous text, are the results of the artist’s exploration of his inner mind. His desire for freedom is portrayed in “Bluebird,” while “Somewhere” presents items on his bucket list as well as his hope and longing. For more information, visit www.salondeh.com. “Kang Choong-mo Piano Recital”: Pianist Kang Choong-mo is resuming performances in Korea starting Nov. 3 at the Seoul Arts Center Concert Hall at 8 p.m. In addition to presenting pieces by Busoni as a tribute to the Italian composer’s 150th birthday, Kang will be performing works by legendary composers and musicians, including Granados, Schubert, Rachmaninoff, Brahms and others. Tickets range from 30,000 won to 70,000 won and can be reserved at ticket.interpark.com. For inquiries, call (02) 780-5054. “Sumi Jo -- My Songs”: World-class soprano Sumi Jo will hold a concert celebrating the 30th anniversary of her international debut at the Seoul Arts Center Concert Hall at 5 p.m. on Aug. 28. Jo first appeared on the international scene as the prima donna in Verdi’s three-act opera “Rigoletto” at the Teatro Lirico Giuseppe Verdi in Italy on Oct. 26, 1986. The program will feature songs from well-known operas, including “Caro Nome” from “Rigoletto,” along with Korean songs. Pianist Jeff Cohen will accompany the performance. Tickets range from 50,000 won to 150,000 won and can be reserved at www.sacticket.co.kr or ticket.interpark.com. For inquiries, call (02) 3461-0976. 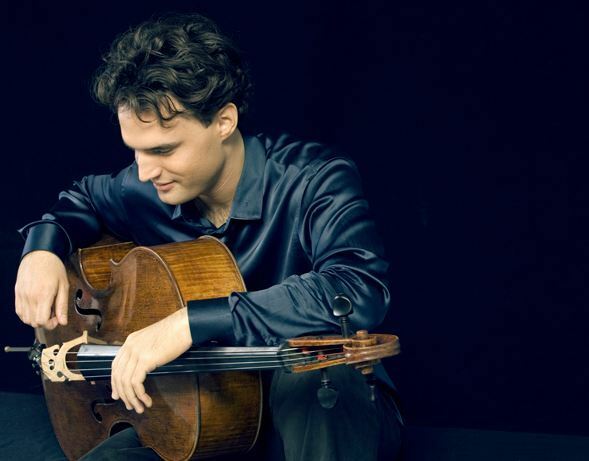 “Leonard Elschenbroich Cello Recital”: Award-winning German cellist Leonard Elschenbroich will be holding a concert at the Tongyeong Concert Hall in South Gyeongsang Province at 7:30 p.m. on Oct. 7. Accompanied by Kiev-born pianist Alexei Grynyuk, Elschenbroich will be presenting four pieces by Beethoven, Shimizu and Stravinsky. Tickets range from 20,000 won to 30,000 won and can be reserved at ticket.interpark.com. For inquiries, call (055) 650-0400. 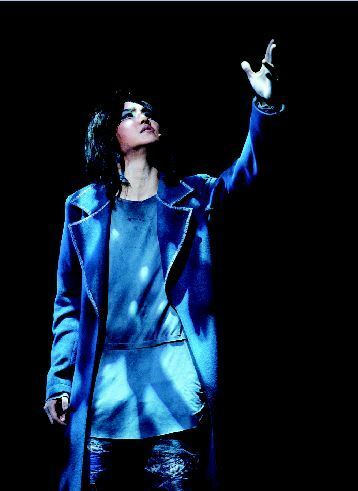 “Peste”: A musical based on the tragic tale of French author Albert Camus’ “The Plague” combined with the sounds of legendary K-pop icon Seo Tai-ji, new local musical “Peste” is hitting the stage this summer. The musical that tells the horrifically graphic tale of the deadly plague that sweeps the Algerian coastal city will star Son Ho-young of g.o.d., Kim Da-hyeon, Park Eun-seok, Kim Do-hyun, Oh So-yeon, Linzy of Fiestar and Jeong-min of Boyfriend. “Peste” will be staged until Sept. 30 at the LG Arts Center in Gangnam-gu, Seoul. Ticket prices range from 60,000 won to 140,000 won. For more information, call 1577-3363. “Wicked”: The Korean version of the top grossing musical on Broadway for 12 years, “Wicked” is returning to the musical stage this summer. The production tells the untold stories of the witches of Oz with music and lyrics by Stephen Schwartz. This year’s cast will include Cha Ji Yeon, Park Hye-na, Jeong Sun-ah and IVY. The musical will be staged from until Aug. 28 at the Seoul Arts Center’s Opera Theater. Ticket prices range from 60,000 won to 140,000 won. For more information, call 1577-3363. “Notre Dame de Paris”: Set in Paris of 1482, “Notre Dame de Paris” follows the life of a young and irresistibly beautiful gypsy girl named Esmeralda. Her allure and charm captures the hearts of countless men, including Quasimodo -- a hunchback harshly crowned as the ugliest man in all of Paris -- and the sinfully sly and soon-to-be-married Phoebus, leading to a spiral of painful drama. The Korean remake of this musical classic will be staged at the Blue Square in Hannam-dong until Aug. 21 and will star K-pop ballad king K.Will and Yoon Gong-ju. Ticket prices range from 60,000 won to 140,000 won. For more information, call (02) 541-6236.